1. This invitation for prequalification follows the General Procurement Notice for this project that appeared in the PPRA Tender Portal Issue no dated 26th July, 2018 and PPRA procurement journal of 31st July, 2018. 2. 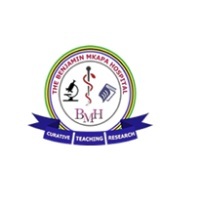 The Benjamin Mkapa Hospital intends to pre-qualify Applicants for Supply of Medicines and Consumable Medical Supplies for the financial year 2018-2019&2019-2020. 3. Pre-qualification will be conducted through the procedures specified in Regulation 119 of the Public Procurement (Regulations– Government Notice 446 of 2013, and its amendment of 2016 and is open to all Applicants as defined in the Regulations. 4. 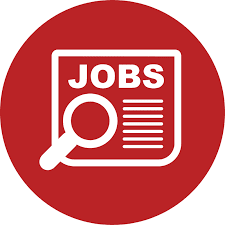 Interested applicants may obtain further information from and inspect the pre-qualification documents at the Secretary, Benjamin Mkapa Hospital Tender Board, and Third Floor, Room no 087, P.O.BOX 11088, Dodoma at 7.30 am to 3.30 pm hours on Mondays to Fridays inclusive except on public holidays. 5. A complete set of pre-qualification documents in English may be purchased by interested Applicants on the submission of a written application to the address given under paragraph 4 above and upon payment of a non-refundable fee of 100,000/= equivalent amount in freely convertible currency Payment should either be by Cash, or Banker’s Cheque, payable to Executive Director, Benjamin Mkapa Hospital. The Outer Envelope shall be Marked Pre-qualification for Suppliers for Supply of Medicines and Consumable Medical Supplies 2018 – 2019 and “not to be opened before Thursday, 25th, October, 2018” 11:00am. 7. Late applications, portion of applications, electronic applications, and applications not received, applications not opened and not read out in public at the tender opening ceremony shall not be accepted for evaluation irrespective of the circumstances.